Many weight loss pills contain a dietary supplement called a fat burner or thermogenics. 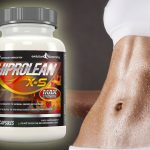 This supplement contains a combination of herbal extracts and stimulants that work with the power of thermogenesis to create massive weight loss for those who take it. With thermogenesis, a person’s body temperature is raised which in turn increases that person’s metabolism. 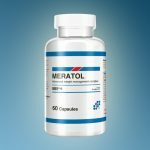 This increase in metabolism helps the body burn off stored fat and calories and by taking these supplements, this process is promoted even when exercise is not present. This can be an extremely attractive factor for those who are looking to shed some weight and not willing to put in the needed exercise time. One of the most common fat burners was, at one time, a Chinese herb called ephedra or Ephedrine. 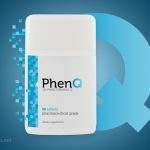 However, it has since been removed from non-prescription pills due to the unpleasant and dangerous side effects that usually come along with taking it. Now it is only available through prescription and a person who is taking it must be closely monitored by a doctor. How Can Fat Burner Pills Help Me Lose Weight? Heat and energy are the two of the elements that fat burners use to help people burn calories. Some promote the release of adrenaline in order to help your metabolic rate and body temperature be raised. This in turn leads to weight loss. Many fat burners will also suppress your appetite and help you lose weight when you consume fewer calories. In general, fat burners can be taken anywhere from one to three times each day. This, however, depends on the specific brand that you choose and you should study the instructions carefully before beginning a fat burner supplement. If you choose a product that is over the counter, you can generally take them for an extended period of time, but for prescription fat burners, they are usually only recommended for short term use. Who Shouldn’t Take Fat Burner Pills? Most fat burners that are on the market today have been designed so that the majority of people can take them. However, for those with anxiety issues and some medical problems it is important that you talk to your doctor before begin taking any supplement regularly. It is especially important for those with anxiety disorders to consult a doctor because it raises Cortisol levels in the body. For women who are pregnant or nursing and those with specific medical conditions related to the heart, fat burners are not advised. Likewise, if you have a sensitivity to caffeine, you should be careful as to which product that you choose. However, there are many options available that do not contain caffeine. There are also many natural ways that you can consume fat burners. Foods that are rich in fiber, such as whole grains, brown rice and oatmeal are great additions to your diet and can help your body burn calories at twice the rate as is normal. Another food that is a great fat burner is hot peppers due to their ability to raise the metabolism. Lean meats which are high in protein have also been shown to burn 30% more calories while they are being digested. If you are trying to burn fat, adding these foods to your diet creates the best opportunity for your body to burn fat. If you are looking for a way to burn fat, a fat burner supplement is a great way to get your diet started off right. By choosing a fat burner supplement, you will be able to exceed the results that you would see with a normal diet. 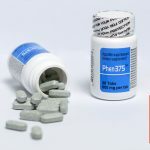 If you are looking for further information and want to learn more about fat burner pills, be sure to check out our guide to the fat burner pills.